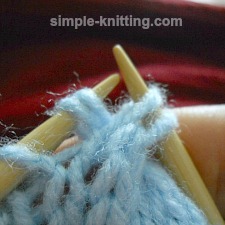 Knitting Cables Without a Cable Needle - Oh My! Yes, knitting cables without a cable needle is possible. And you may even think knitting cables is easier now that you don't have to worry about that cable needle. 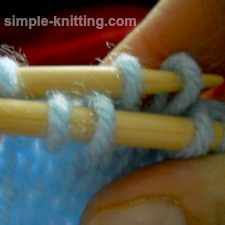 This wonderful cable knitting technique turned me from avoiding knitting cables all together to knitting cables without a second thought just like that. And I love doing them now. 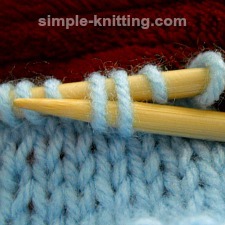 The problem is, sometimes the stitches fall off the cable needle or the cable needle can be so darn awkward to use. It was for me. 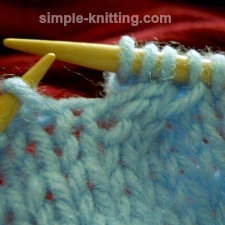 But as soon as I started knitting cables without a cable needle it all seemed to become a lot easier. While the thought of dropping a couple of stitches off your needle sounds scary, the whole process is really quite quick and barely noticeable. The nice thing is it can also save a lot of time and frustration. 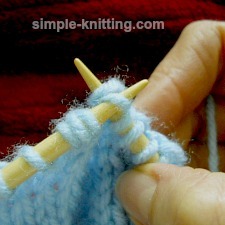 Remember: All you're doing to knit a cable is rearranging the order of the stitches on the needle. That's all it is. This is for the 4 stitch right cross cable stitch. These are the 4 stitches I am working with. 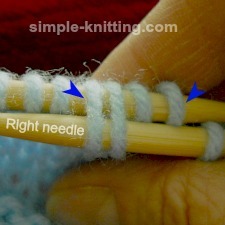 With your right needle push it through the front of the second 2 stitches on the left needle. Those 2 sts will remain on the right needle. What I mean is only the first 2 sts will be off the needle. The 2nd photo is just another view. With your left needle slide those 4 stitches off the left needle. As I mentioned above the second 2 stitches remain on the right needle and 2 sts will be off the needle. It's OK stay calm. They're not going anywhere. 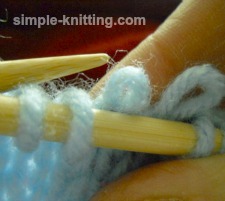 With your left needle quickly slide it through the 2 live stitches. Now all you do is knit those 4 stitches (1st photo) and there you have your little cable. And that's how to knit cables without a cable needle. It's honestly not that difficult and I actually found it easier than fiddling with the cable needle. The fact is that the cable needle always felt so awkward or the stitches would come off so why bother with it? What About Left Cross Cables Without a Cable Needle? 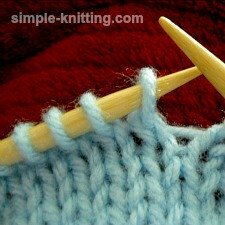 If you want to make a left cross cable the only difference is that you will put your right needle into the second 2 stitches at the back of your knitting. For a right cable the right needle goes into the front of the stitches and for the left cable the right needle goes in the back of the stitches. That's it. I hope you will try this knitting technique and you may really start to enjoy knitting cables just like I did. Still uncomfortable knitting cables without a cable needle? I understand. It is a little scary at first. What I would suggest is the U cable stitch holder. 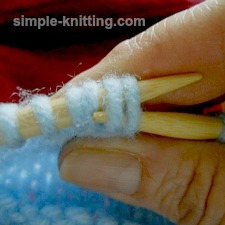 This is a great cable needle to use without worrying about your stitches sliding off. In fact it's my fave when I don't use this method and I find it more comfortable to use too.